George Soros' philanthropic work has focused on promoting democracy in eastern Europe. 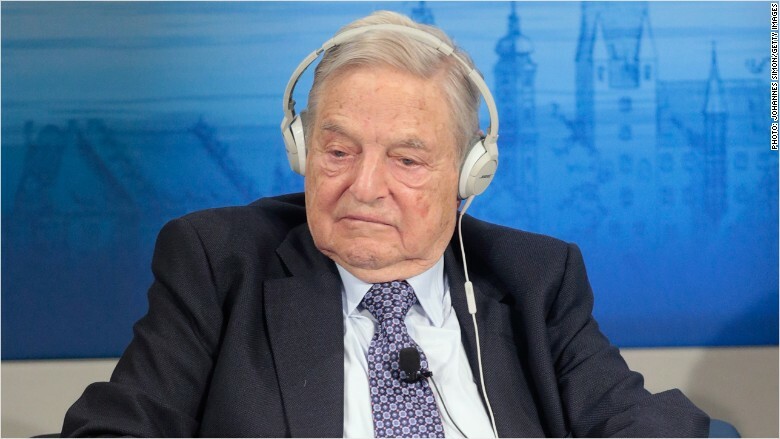 George Soros has long called for the West to pump billions into Ukraine. Now he says he's ready to walk the talk. The veteran hedge fund investor told an Austrian newspaper he was prepared to invest $1 billion in the collapsing war-ravaged economy under certain circumstances. "There are concrete investment ideas, for example in agriculture and infrastructure projects. I would put in $1 billion," he told Der Standard. "This must generate a profit. My foundation would benefit from this, not me personally." The Hungarian-born billionaire said Europe and the U.S. must show strong political leadership over Ukraine -- that would make it more attractive to private investors. The West could provide finance at European interest rates close to zero, for example. A spokesman for Soros said his investment would depend on the West doing "whatever it takes" to rescue Ukraine. Soros launched his Open Society Foundations in 1979 to promote democracy and open societies. Most of their work has been focused on former Communist countries in central and eastern Europe, but they've also funded programs in Africa and the U.S.
"Ukraine is defending Europe's borders," Soros was quoted as saying. "But above all, the country is fighting for European values such as the rule of law and freedom. That is too often forgotten." Russia's seizure of Crimea a year ago, and its support for armed rebels in eastern Ukraine, has sent Ukraine racing towards the economic abyss. Ukraine's currency, the hryvnia, has lost nearly 60% of its value against the dollar in just a year. GDP shrank by 7% in 2014. It's expected to fall by another 5% this year. And while the country secured an IMF-led international bailout package in February, the chances of recovery any time soon look small. Ukraine faces a number of daunting challenges: corruption costs the government $10 billion a year in lost revenue, IMF-mandated austerity -- such as gas price hikes and pension cuts -- are hugely unpopular, banks are collapsing under the weight of bad loans, and interest rates are the highest they've been in 15 years.